Today during a White House press conference, Press Secretary Jay Carney made a multitude of nonverbals as he spoke about the recent hearings regarding the 11 September 2012 attack on the American consulate in Benghazi - some of which are showcased below. The more inclusive video is featured above and is recommended since these show the subtleties and evanescent nature of these body language-facial expressions. 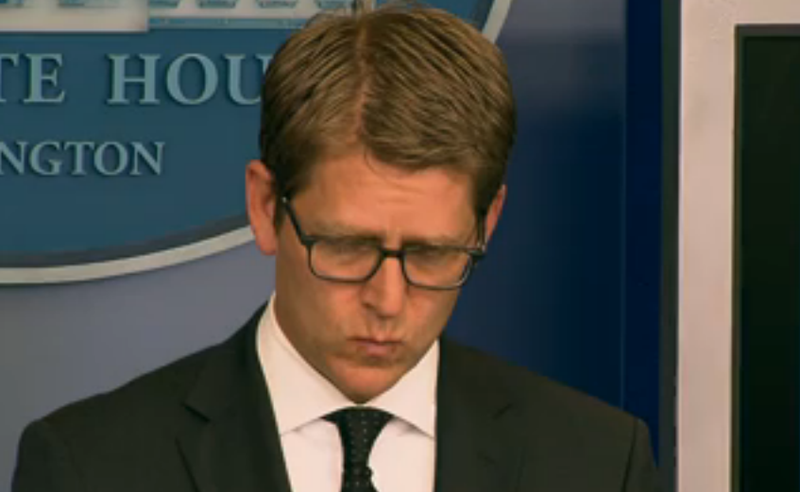 At 0:18 Mr. Carney makes a microexpression of lip pursing. This is a very transient version of this telling facial expression is always made by someone who feels they are at an advantage - thus perceives themself to be in a relative alpha position. It is a strong signal of clandestine contention - at least in part, e.g. a person may voice a small (or no) disagreement, yet they are feeling a dramatic disparity of opinion. They have a high level of confidence that the outcome will be in their favor - and they may very well have a plan in the works to make this happen - that they will not be sharing with you. 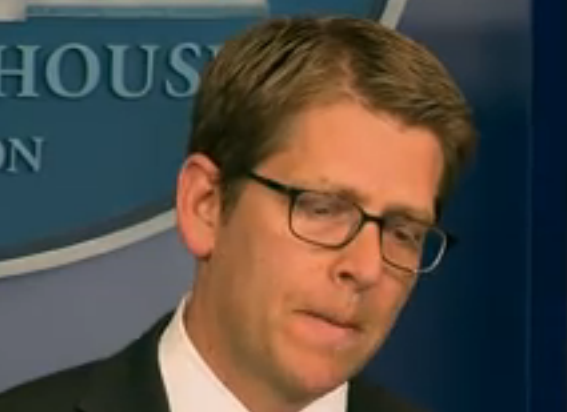 A moment later at 0:20, Jay Carney exhibits a subtle Microexperession of contempt on his left side. He displays contempt a number of times (see below). 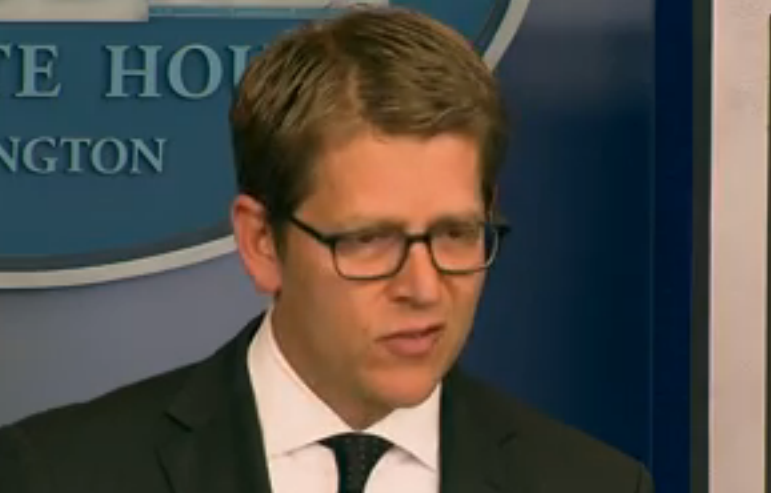 Here the White House Press Secretary displays an "Inward Lip Roll" (ILR) which is significant for anxiety and more specifically an outward display of the psyche trying to dampen emotions. Most of the time these are negative, such as here - anger (however depending on the other nonverbals with which it is clustered, an ILR may signal an attempt to squelch laughter/joy and thus can sometimes be a component of duping delight). Mr. Carney displays this facial expression multiple times (this example is seen at the 0:23 mark). Look for this tell at the poker table too. 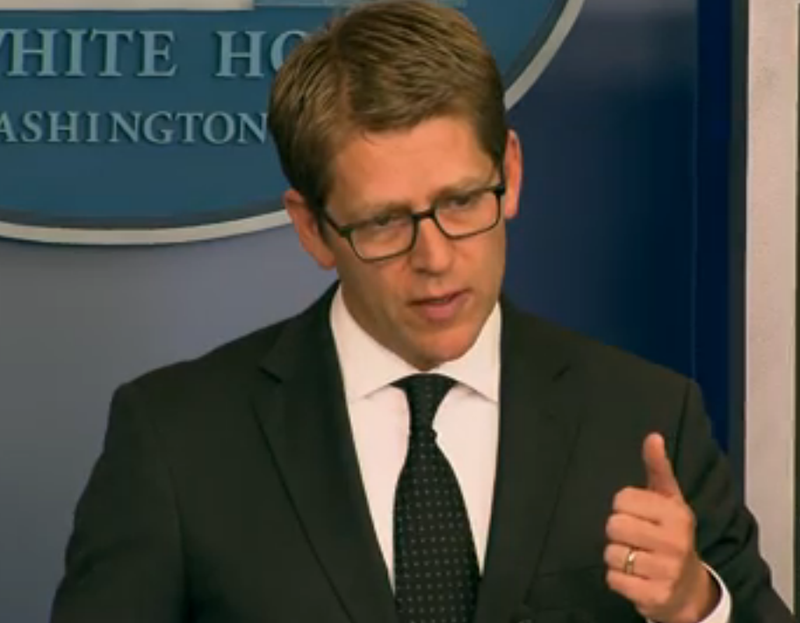 Mr. Carney has changed his manner of hand gesture counting of late. Most North Americans and those from the U.K. (and Carney previously) begin counting on their index fingers (forefingers), then proceed to their pinky and end with their thumbs last. Most Mainland Europeans however, begin counting on their thumbs - which has the added advantage of allowing a brief "Thumbs Up" signal (here at the 1:22 mark) - a nearly universal body language emblem which signifies optimism and success. 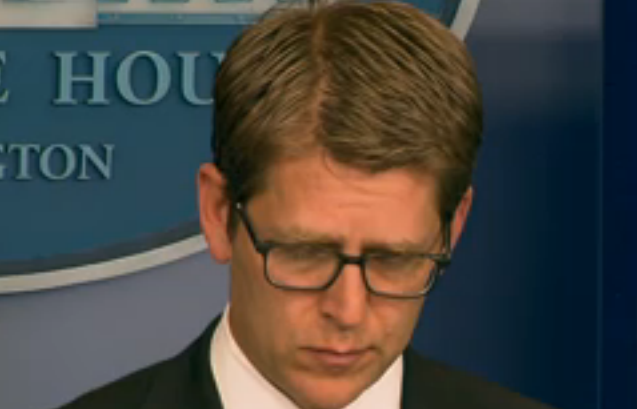 Here, at 2:51 (and multiple other occasions) Mr. Carney displays a much more overt and longer lasting display (Macroexpression) of contempt. Near the end of this video, Jay uses the "Finger Point Hand Chop" a few times (here at 2:46) which is one of the most offensive and negatively received hand gestures. 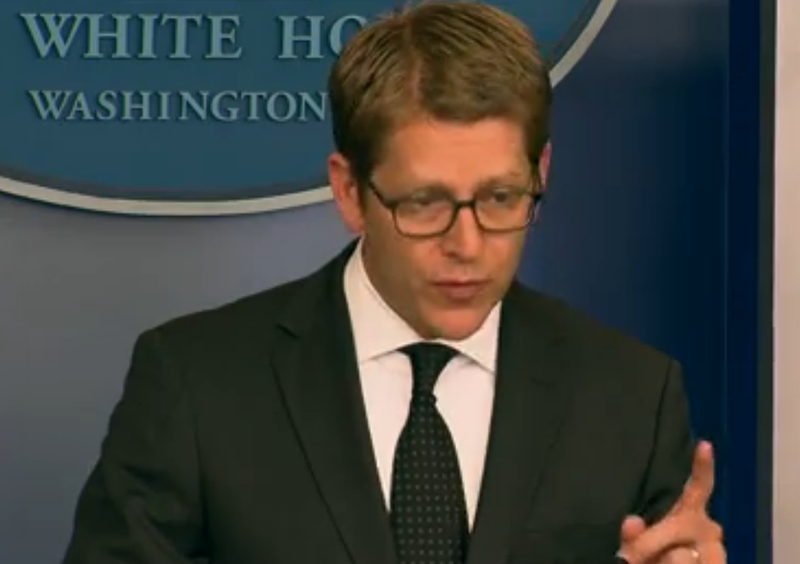 Never use this gesture - lest you lose your audience in this rapport destroying & highly patronizing nonverbal.